Whiplash is an injury to the ligaments and tendons in the neck when it is moved forwards, backwards or sideways, often as the result of a car crash. After an accident, the symptoms of whiplash may not be felt until around 12-24 hours later and may become worse over the following days. Whiplash symptoms include neck pain, stiffness, tenderness, reduced neck movement, and headache. Women are more likely to experience whiplash than men. Whiplash accounts for more than three-quarters of all injury claims after road accidents. 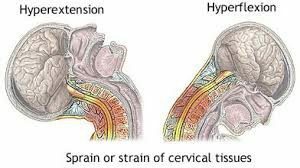 Neck spasms are a sudden and involuntary contraction, or uncontrollable tightening and shaking, of a muscle in response to strain, overuse, weakness, or muscle pain related to injury or a disorder. In some conditions, such as cervical dystonia, the spasm may cause your head to turn or to jerk. Some, but not all, neck spasms occur close enough to the spinal cord or to the nerve roots leading in and out of the spinal cord to put pressure on one of these sensitive nerves and sometimes cause severe pain. 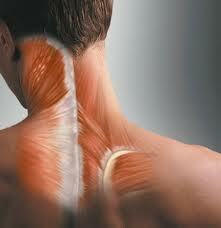 Neck spasms most commonly are from poor static postures. Computer use, driving, slouching on the couch all contribute to this problem. In biomechanics terms, a head in a forward position along with shoulders rolled forward, is called an upper crossed syndrome. At times, these symptoms may be the result of underlying pathology or degenerative changes to your spine. 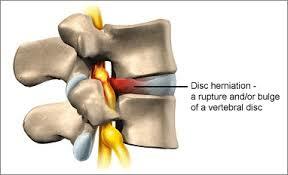 A herniated disc usually is caused by wear and tear of the disc, also called disc degeneration. As we age, our discs lose some of the fluid that helps them stay flexible. A herniated disc also may result from injuries to the spine, which may cause tiny tears or cracks in the outer layer (annulus or capsule) of the disc. The jellylike material (nucleus) inside the disc may be forced out through the tears or cracks in the capsule, which causes the disc to bulge, break open (rupture), or break into fragments. When pressure is placed on a nerve in the neck, it causes pain in the muscles between your neck and shoulder (trapezius muscles). The pain may shoot down the arm. The pain may also cause headaches in the back of the head. Early treatment is critical in avoiding worsening of condition or symptoms. Degenerative disc disease isn’t really a disease, but a term used to describe the process of changes in your spinal discs as you age. The cervical disc is a unique and well-designed structure that is strong enough to resist terrific forces, yet it is still very mobile, allowing our neck to flex, bend, and twist. 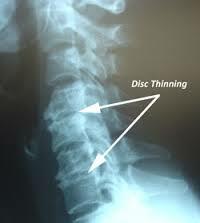 Due to smaller and weaker soft tissues in the neck, cervical discs are more prone to disc herniations related to acute injuries such as whiplash flexion/extension traumas. A cervicogenic headache is, by its definition, any headache which is caused by the neck. The term ‘cervicogenic’ simply refers to the cervical area, which is a part of your spine located right near the base of the skull. The pain associated is usually located on one side near the temple or forehead region. The headache symptoms can radiate from the base of the skull, occipital region, and compress blood vessels that travel through the neck and head to supply the brain. Pain may be triggered or exacerbated by neck movement or a particular neck position such as computer work or driving a car. It can also be triggered by applying pressure over the region that is painful. One of the most prominent causes of a cervicogenic headache is simply undergoing an excessive amount of chronic stress to your neck and spine. TMJ is an umbrella term covering pain and dysfunction of the muscles of mastication (the muscles that move the jaw) and the temporomandibular joints (the joints which connect the mandible to the skull). TMJ is a symptom complex rather than a single condition, and it is thought to be caused by multiple factors. About 20% to 30% of the adult population are affected to some degree. Usually, people affected by TMD are between 20 and 40 years of age, describing pain and clicking in their jaw. 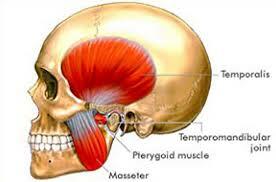 TMJ can be caused from injuries such as whiplash. 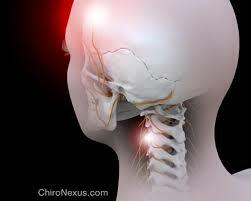 Muscle spasms can cause tracking issues in the TMJ joint and cause inflammation. Over time, this can lead to wear and tear on the cartilage and progress into arthritic changes within the joint.